One of the most important steps leaders in the City and County of Sarasota can take to make more workforce housing available is to “embrace [it] as a community asset and/or infrastructure,” Jaimie Ross, president and CEO of the Florida Housing Coalition, told the Sarasota City Commission on Dec. 3. Ross was reviewing a list of recommendations to the city and county in a report the coalition prepared on behalf of the two local governments. “It is a good and important asset for your community,” Ross said of workforce housing. When city and county commissioners get pushback from residents about such projects, she said, they should push back themselves. Local government leaders should be confident, she stressed, that they are meeting the needs of the area’s residents. 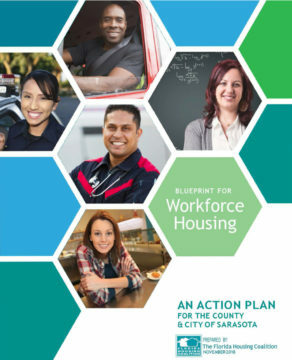 The recommendation was one of 12 in the Blueprint for Workforce Housing the Coalition completed for the City and County commissions after they finalized an interlocal agreement for the work on July 24. Their goal was for the Coalition to develop an action plan to foster the creation of community housing, a city staff memo explained. On July 10, the County Commission approved spending $16,666.67 for the project. The total cost was $50,000, based on the contract the City Commission approved on July 2. The City Commission unanimously accepted the recommendations on Dec. 3. In fact, that city report noted, from 2012 to the fall of this year, the median income of city households rose only 7%, from $40,813 to $43,477. Additionally, the city document said, 77% of all renters and 62% of all homeowners with incomes below 80% of the Area Median Income (AMI) “are paying more than 30% of their income for housing.” Moreover, it continued, 49% of all renters and 42% of all homeowners with incomes below 80% of the AMI pay more than 50% of their income for housing. 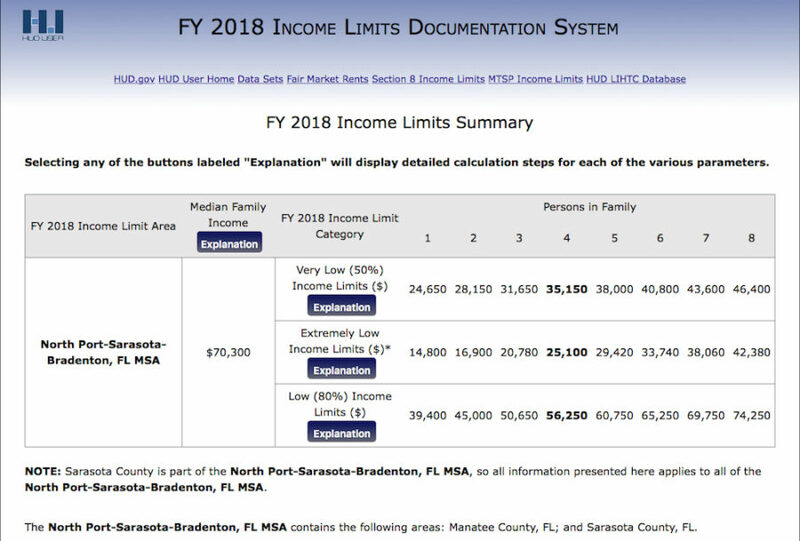 This year, according to the U.S. Department of Housing and Urban Development (HUD), the median family income for the North Port-Sarasota-Bradenton Metropolitan Statistical Area is $70,300. For a family of four, 80% of the AMI is $56,250, HUD says. On Dec. 3, Ross explained that she knew the impetus for the Housing Coalition study came from the Gulf Coast Community Foundation. That nonprofit, based in Venice, has been among the strongest advocates for affordable housing in the area. Coalition representatives were told the plan “should be actionable,” Ross added. Community leaders did not want another study just to put on a shelf, where it would be forgotten, she said. 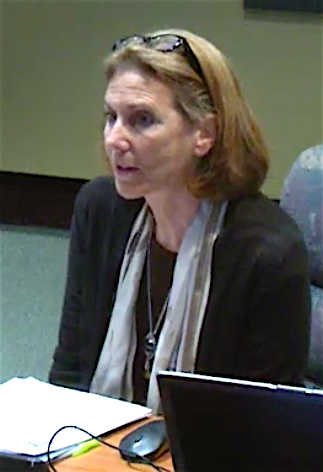 In elaborating on the recommendation about workforce housing as a community asset, Ross pointed to a project in Davidson, N.C. That city was losing its workforce, she said, so the mayor and town council refused to approve any more single-family housing developments for a short period of time. They learned that the affordable housing stock in the city represented 12% of all the homes, she continued. Therefore, they agreed that the percentage of workforce housing in any new developments also would have to be 12%. Additionally, they ensured that new housing stock would stay affordable for 99 years, Ross said. When she asked the Davidson leaders if they faced any pushback from residents, Ross told the Sarasota City Commission, she learned that the only negative remarks were from people who did not like a related requirement. That called for the developers of new housing projects to preserve 50% of each site as open space. As elected leaders, she continued, the city and county commissioners must work to ensure that the community has adequate housing for the entire population. Planning and financing tools, she indicated, are the primary means for local governments to make workforce housing available. City Manager Tom Barwin acknowledged the disappointment of city leaders that the bonus for the Rosemary District did not achieve the desired results. Yet another recommendation Ross characterized as “super, super important” calls for the creation of an ombudsman position within the Office of Housing and Community Development, which serves the city and the county. “Somebody’s got to be tasked with overseeing [these recommendations],” Ross noted. The person would have enough responsibilities she added, that he or she should not need to be tasked with anything else. 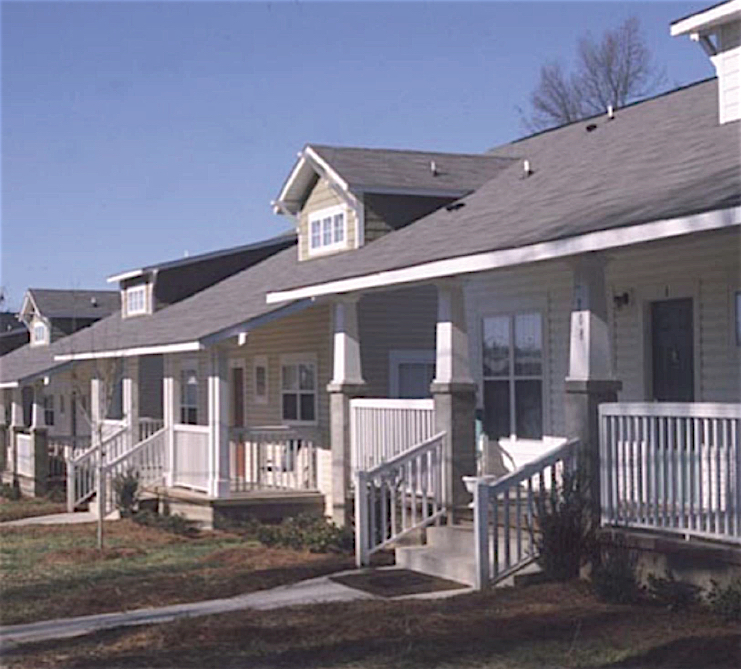 The Office of Housing and Community Development administers state and federal housing assistance programs, including the federal Community Development Block Grant (CDBG) program. The Blueprintincludes a city chart showing that in the 2017 fiscal year, the city received $477,299.14 in CDBG funds. The city used 60.56% of that — $289,054 — to acquire dwelling units for rehabilitation. Another $9,972 went into rehabilitation of single-family units. Another of the 12 Blueprint recommendations is a call for promotion of infill development through allowing mixed uses. No. 2 on the list is “Allow Accessory Dwelling Units in Single-Family Zones.” Ross referred to a “granny flat” and living space over a garage as examples. Yet another recommendation is to encourage the Legislature to cease “sweeping” Sadowski Trust Funds. The City and County of Sarasota have lost more than $30 million over the last 15 years, Ross said, because of the Legislature’s removal of money from those trust funds for other purposes. In 2017, Sweeney added, the “doc stamp” taxes generated about $292 million in affordable housing trust funds, but the legislators moved more than $130 million of that to the general revenue fund to balance the budget. “They’re everywhere,” Ross said of such centers. A project in St. Petersburg is underway, she noted, making use of a 60,000-square-foot grocery store that had been vacant for four years. Another recommendation is for the reinvigoration or reconstitution of a Community Land Trust. Instead, she continued, they have a leasehold interest in the land and all the improvements to the property. When the homeowners decide to sell the house, Ross noted, a formula is used to calculate what the price should be. That ensures the home remains part of the workforce housing stock. The report also calls for surplus city and county property to be used as the sites of affordable housing. 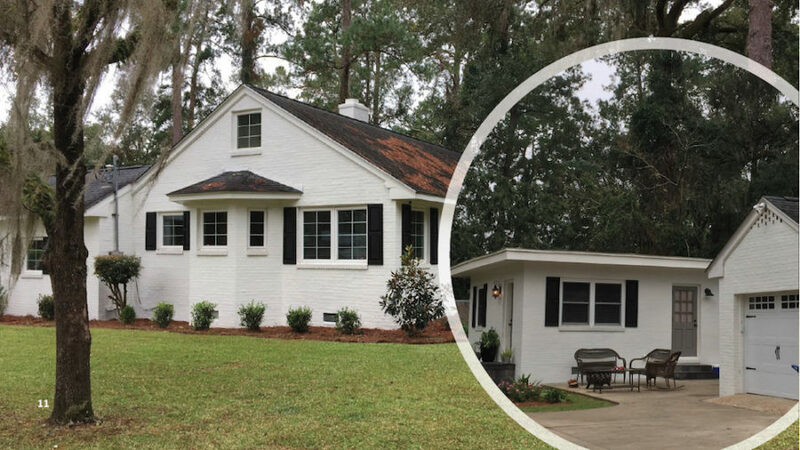 For just one example, she continued, very few jurisdictions in Florida have a joint housing program, such as the Office of Housing and Community Development. “That is a great model for the state of Florida,” Ross said.